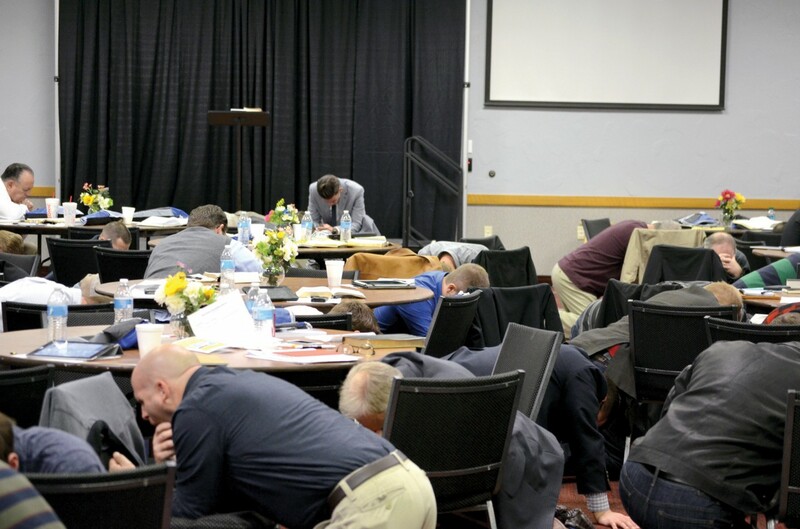 Priority of Preaching Conference attendees spent time on their knees, praying for revival. EDMOND—Winter conditions have affected much of Oklahoma Baptist life in the early part of 2014. 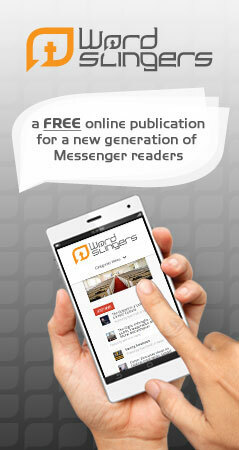 Church services and other related events have been cancelled because of snow and ice affecting travel. The Priority of Preaching Conference at Edmond, First had to cancel its first meeting day, March 3, but after revisions were made, the Conference did occur on March 4. Of the approximately 150 registered for the event, 108 endured the weather to attend. Adam Greenway, dean of the Billy Graham School of Evangelism at Southern Seminary, was scheduled to speak March 3 at the conference but had to cancel. All other speakers were able to attend. Ronnie Floyd, left, answers a question Anthony Jordan, right, offered during an interview Jordan conducted at the conference. 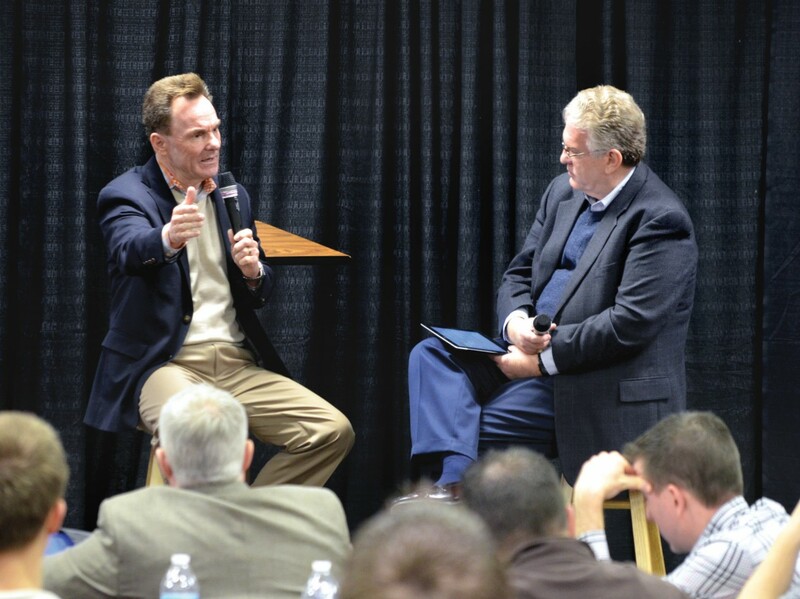 Anthony Jordan, BGCO executive director-treasurer, followed Pace’s first session, interviewing Ronnie Floyd, senior pastor of Springdale, Ark., Cross Church. Floyd is expected to be a nominee for president of the Southern Baptist Convention at the SBC annual meeting in June. “We can be the reformers of the 21st Century if we just come back to exegetical preaching and giving invitations, said Newton. 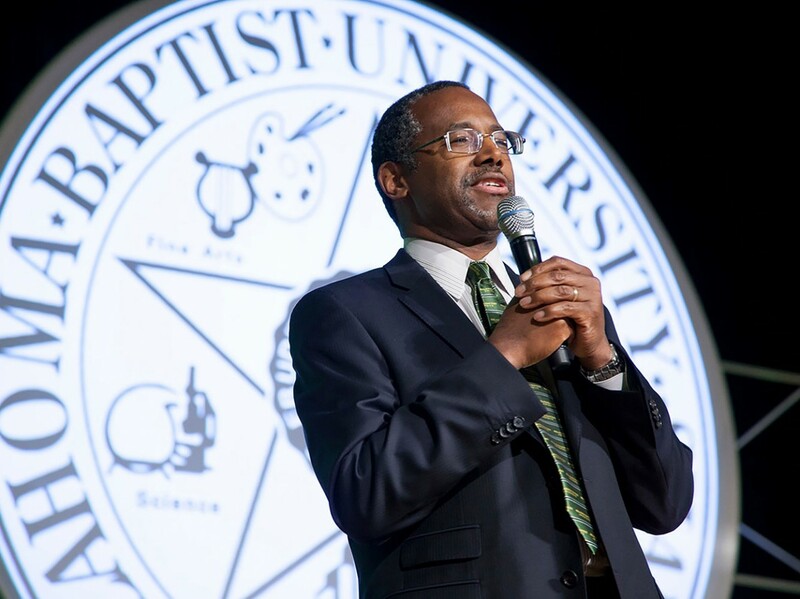 He ended his speaking time, asking the attendees to get on their knees and pray for revival in the country. Everyone complied.